Randy Christmas was a Charleston resident four years ago and while there found an entry-level job at the Schoenbaum Family Enrichment Center where he answered the phone and cleaned. Since that time, Christmas (standing) has been promoted to Com-munity Specialist, a position where he administers a $60,000 grant to assist those in need with their first month’s rent, and utili-ty and security deposits. At a recent Life Skills class, Christmas returned to make the current residents aware of how he could help them once released. 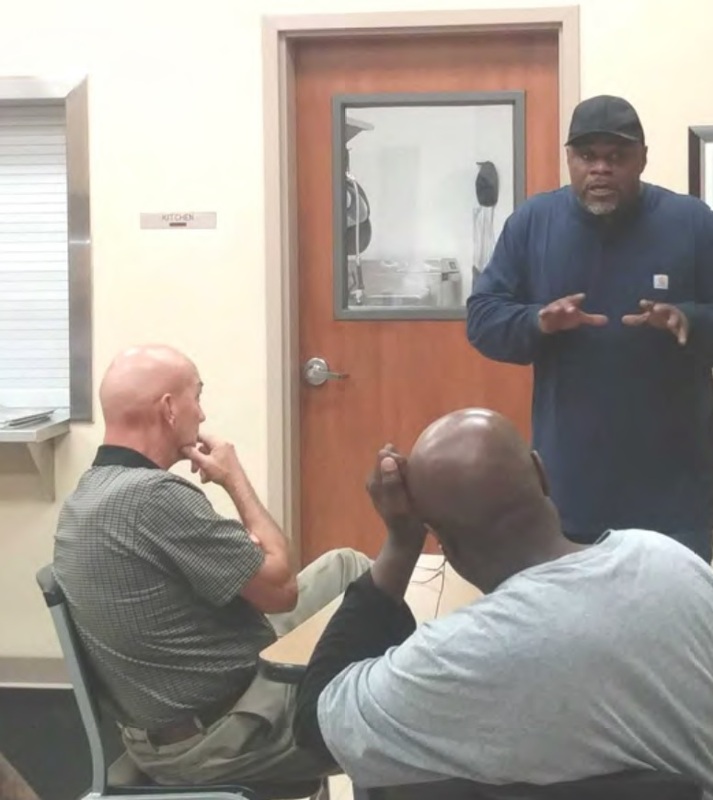 “He was able to relate to the residents about the good outcomes that can occur when you maintain clear con-duct, obtain employment, and make an effort to give back to the community,” said Director Jim Sands noting that Christmas gives Dismas tremendous credit for assisting him to make a positive change in his life. “He is very proud to be able to return to where his new life began and offer assistance to current residents.